The Scottish Parliament has taken the step of voting to withhold legislative consent for the UK government’s hugely controversial EU (Withdrawal) Bill. What does this all mean? Read on for our take on the forlorn state of devolution in the UK. The UK has its central government in Westminster. But we also have devolved legislatures - the Scottish Parliament in Edinburgh, the Welsh Assembly in Cardiff, and the Northern Irish Assemblies in Stormont. 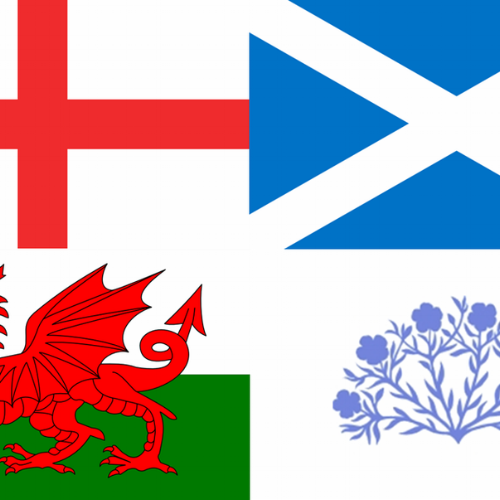 As part of the unique devolution settlements in Scotland, Wales, and Northern Ireland, these respective legislatures have areas over which they - not Westminster - are responsible for and legislative over. These are called 'devolved matters'. Powers that remain in Westminster are called 'reserved matters'. In Scotland, where the Scottish Parliament has powers over education and health policy, higher education and prescription medication is free. The Welsh Assembly has implemented the Well-Being of Future Generations Act, a framework which makes public bodies think more long-term and established a Future Generations Commissioner who has responsibility for acting "as a guardian for the interests of future generations in Wales". Legislative consent - what is it and why now? When the UK government wants to make laws that overlap with devolved matters it tends to seek consent from the devolved nations. This usually happens after behind-the-scenes discussions. This is a well established convention known as 'legislative consent'. The UK government wants legislative consent for the EU (Withdrawal) Bill because, among other things, it wants powers to amend the devolution settlements (which came about after referendums). It also wants powers that come back from the EU to go to Westminster, which will decide what gets devolved and what is reserved. Why is this an issue in the first place? After all, you would have thought that there are clear rules about who has power over what. Well no, not quite. For starters, the UK has an uncodified constitution, which massively complicates things. Brexit has raised a lot of constitutional issues around devolution in the UK. Urgent questions need to be answered like ‘where do the powers from the EU go?’ & ‘what UK-wide framework should we have?’. But our current constitutional mechanisms have left things a little fuzzy. "In each of the devolution settlements the UK Parliament has preserved its right to legislate on matters which are within the competence of the devolved legislature." This is pretty confusing, because the Sewel Convention was actually put into law in the Scotland Act. It also leaves the devolved legislatures in a somewhat powerless position - they have been given powers by the UK Parliament, and yet the UK Parliament has reserved the right to interfere with those powers with the consent of the respective legislatures. So we come onto a bigger problem of the uneasy devolution settlements in the UK which are underpinned by our unstable uncodified constitution. Put simply, because of our uncodified constitution Westminster can easily undo the devolution settlements if they want to. For the EU (Withdrawal) Bill that means the UK government can get on with its plans - even though it asked for the consent of the devolved legislatures and the Scottish Parliament say 'no'. For Brexit, that means the UK government can plough on ahead without getting input from Northern Ireland, Scotland, and Wales on what future UK frameworks or trade deals - even those this will have a significant impact on devolved areas. We’ve been warning since our ‘Democratic Brexit’ report was published in July 2017, that there’s a huge power imbalance in the UK. For example, the Joint Ministerial Committee (JMC) is where representatives from the Scottish Parliament and the Welsh and Northern Irish Assemblies, as well as the UK government, meet to discuss issues of joint concern. Problem is, the JMC is just consultative i.e. it has no powers. So it’s really just a talking shop. Also, only the UK Prime Minister can call meetings and set the agenda. For too long Westminster has seen devolution as something that they control and is in their gift. We as a country need to make a lot of decisions about what we want the post-Brexit settlement to look like. But in the here and now it is alarming that the devolution settlements are being run roughshod over. As far as the UK govt is concerned, Westminister should have all the power and no accountability. Should our democratic norms - like devolution - be hinged on the whims of the government of the day? We don’t think so. That’s why we need a new constitution. If you agree with us and think that the UK needs a new constitution that puts power in the hands of the people, sign up to our mailing list for more information about our latest campaigns and actions you can get involved with.